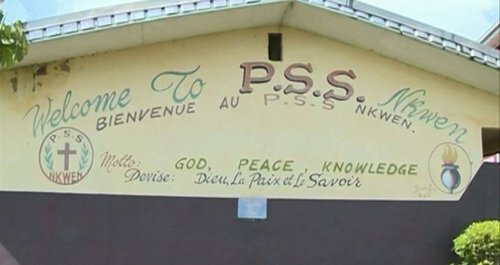 On Sunday, 4 November, nearly 80 children and three staff members were kidnapped from Presbyterian School Bamenda by armed men in northwest Cameroon. This was the second kidnapping of students within the week. Update: the students and driver have been released! However, the kidnappers continue to hold the school principal and a teacher. The World Communion of Reformed Churches (WCRC) stands in solidarity with its member, the Presbyterian Church in Cameroon (PCC), and calls for the immediate release of those kidnapped. An army search operation is under way in Cameroon to rescue those kidnapped. The government and English-speaking separatists in the region have accused each other of orchestrating the kidnapping. The government of the Republic of Cameroon to take very urgent measures to resolve the Anglophone crisis that has led to the killing of thousands of innocent children of God, be they military or civilians, and the destruction of overwhelming private and public property, homes of people and entire villages. The government and the Ambazonia fighters to agree on providing maximum security for the innocent young Cameroonians to exercise their right to study—and that these innocent children and their teachers should not be used as baits and sacrificial lambs. The international community to take note of these grievous acts of inhumanity that have become a daily occurrence in anglophone Cameroon that has put the lives of over seven million people in danger. Previously, the WCRC issued a call to prayer and support for Cameroon, is maintaining regular contact with the PCC and is planning a solidarity visit in the new year. Read the full communiqué from the PCC.